Angela Laverty became an Apple Distinguished Educator in 2017. David's 30-year background in learning resources and teaching has created an appreciation of how educational technology supports learning, teaching and assessment; in particular, how the use of the iPads with apps personalize learning in ways that were unthinkable when he first started teaching. 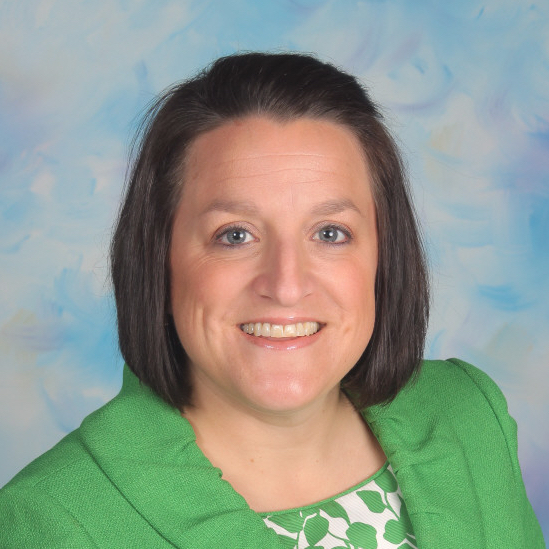 Katherine has been in education with Charleston County School District for 18 years, going on her 8th year as assistant principal at Drayton Hall Elementary. She has served as a classroom teacher, a teacher coach, an instructional coach at the district office and an assistant principal. Worldwide, just 400 schools in 29 countries are currently recognized as an Apple Distinguished School (ADS). An ADS designation requires that a K-12 school or college show they are a center of educational excellence that uses the Apple platform to create a learning environment that inspires creativity, collaboration, and critical thinking among its students. Becoming an ADS is a coveted goal for any school implementing Apple technology, as schools with this designation can collaborate with similar schools to share best practices and work with Apple experts to further enhance the power of their Apple-based digital curricula schoolwide. A top requirement for becoming an ADS includes executing a 1:1 Mac/iPad program, with all teachers and students using the devices as their primary learning and teaching tools. Other key ADS qualifications include requiring teachers and students to exhibit full technological proficiency to execute curriculum, to deeply integrate educational apps from the App Store, as well as to collaborate with other ADSs and to share best practices. When these requirements are met, schools are encouraged to apply for the two-year ADS designation (by Apple’s invitation only), after which each school must produce an extensive “Multi-Touch iBook” to showcase their innovative use of Apple technology in the classroom. The decision by school leadership to create a digital learning environment that is worthy of the ADS honor is not easy. First, they must consider the infrastructure challenges and other barriers (real or perceived) that they will face. Then comes the decision of which technology to implement and what device ratio is realistic (factoring in financial considerations for schools and parents). Next, they have to decide which apps will complement their technology plan and help students and teachers easily collaborate. The schools profiled below have overcome these challenges. They have spent countless hours strategizing how to successfully implement their bold technology plans and have earned the ADS honor. They have also compiled several best practices that have been vital to their success. One of these best practices is choosing the right apps to support their efforts. 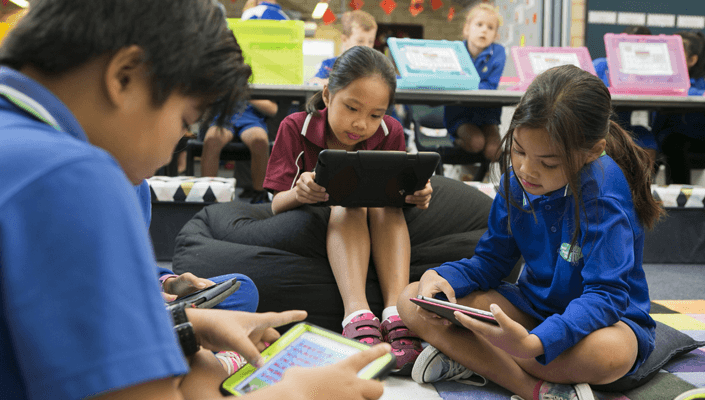 Angela Laverty, Year 4-5 Learning Area Teacher and ICT Coordinator at Bertram Primary in Australia, has witnessed firsthand the challenges of establishing a Bring Your Own Device (BYOD) iPad program at her public school. While it was her principal’s vision to give students advanced learning tools regardless of their socioeconomic status, parents were concerned that costly devices might not have an impact in the classroom. Keeping parental concerns in mind, in 2011, school leadership decided to test the BYOD program in their kindergarten classes. Having seen the benefits of using iPads in the classroom, parents are more likely to participate in the BYOD program, which has gone from 20 percent participation to 45 percent schoolwide. “In just a few years, parents saw positive results in their children’s schoolwork and engagement in school, and they began defending our program and encouraging other parents in the community to purchase iPads,” says Angela. To bridge the gap in creating 1:1 classrooms schoolwide, Bertram Primary provides iPad carts for each grade year that are shared as needed to create a 1:1 device ratio for lessons that require the devices. While it is ideal to have a 1:1 iPad environment for their students, Bertram Primary has shown that they can still create a digital culture in the school without 100 percent participation. This was the key component in the school’s first ADS designation in 2015. With more experience and buy-in from their community, Bertram Primary renewed their ADS designation in 2017, focusing on their growth in digital culture, students’ enriched learning experiences on iPads, and their creation of a smooth workflow without being a 1:1 device school. Having a consistent workflow between teachers and students is critical to monitoring progress in a given subject. During the initial BYOD rollout, teachers and students were sharing work primarily through AirDrop, but use was inconsistent because many personal iPads did not have that feature. When Showbie was introduced in 2015, teachers finally had a way to share and store student work in one location that could be accessed through any device. Showbie has also given teachers the confidence to explore new ways to incorporate digital technology in their classes. Further education (FE) colleges are unique to the UK and primarily serve students ages 16 to 19 who have completed their statutory education. In these colleges, students are still able to focus on studying for exams to enter university, as they would in a traditional Sixth Form school, but they can also concentrate on skills-based courses wherein they receive certifications to move on to employment or apprenticeship opportunities. Offering courses in everything from carpentry to media, leadership at UK’s Harlow College is in tune with today’s evolving workforce demands and strives to provide students with the most current tools to help them succeed. David Monk, E-Learning Development Coordinator, and Kelly Edwards, Director of Learning Development, lead the Digital Innovation Team and have ensured a smooth deployment of Harlow College’s 1:1 iPad program since 2015. After just a few years of digitizing their classrooms, technology has been adopted in every aspect of teaching and learning throughout most disciplines. Dave has also seen a dramatic improvement in student outcomes with the transition into the digital classroom. With dedication from students and faculty, iPads have been implemented in every program at the school, even those that are not traditionally associated with technology, like dance and carpentry. 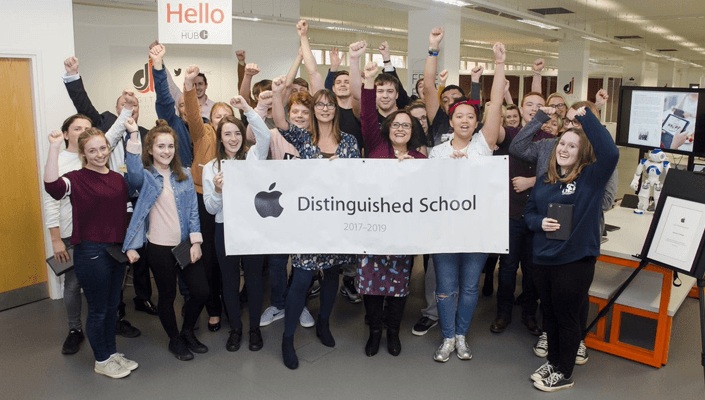 This ability of technology implementation to transcend all disciplines helped Harlow College earn an invitation from Apple to become the first FE college to become an ADS in 2017. When transitioning from traditional to digital learning, leaders at Harlow College knew they had to find a way to seamlessly integrate the iPad into every aspect of daily instruction. Dave recalls how teachers began to use Showbie and how quickly the app was picked up by the entire college. Showbie’s universal application can be valuable in any classroom, even in subjects that are not generally related to technology. At Harlow College, dance students are now fully invested in technology and rely on Showbie’s feedback features to review and track progress on various projects. 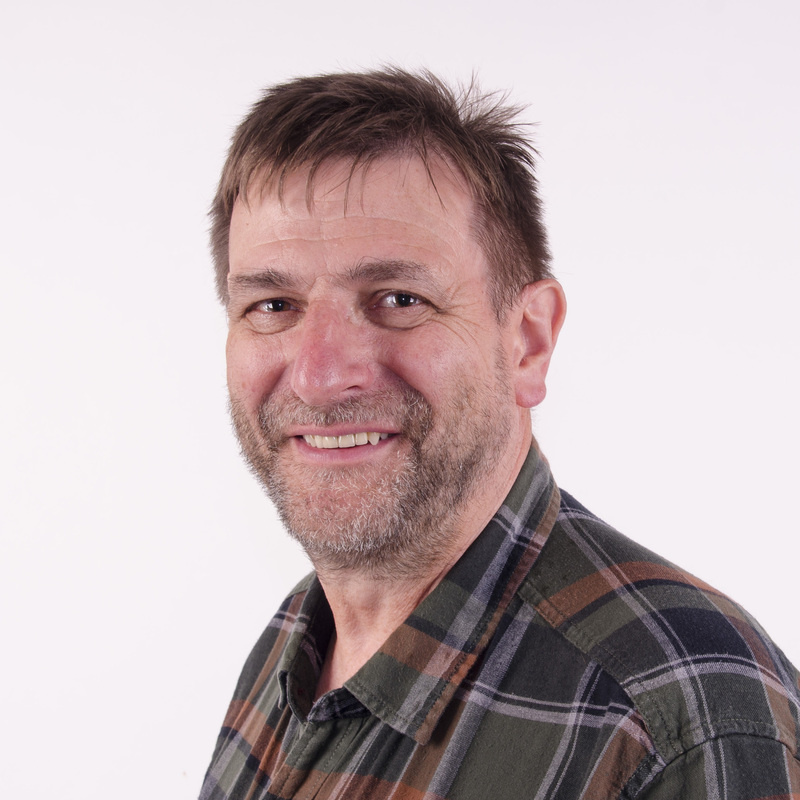 “Our dance students use Showbie to record their performances, and teachers can provide voice or written feedback to pinpoint exactly what they need to change to improve any particular skill or movement,” explains Dave. 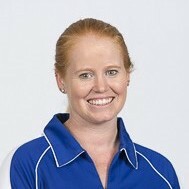 Kelly has also seen a significant change in the carpentry program. Since implementing its 1:1 program just three years ago, Harlow College has seen significant positive outcomes for students. Grades have increased by 6 percent since 2015, and according to the college’s most recent self-assessment report, the vast majority of students (70 percent or greater) agree that the iPad helped improve their grades. In 2012, Drayton Hall Elementary School became the first school in South Carolina to integrate a 1:1 iPad model schoolwide. As Principal Brian Agnew recalls, being first meant navigating some challenges. As the first school to go 1:1 in the state, Drayton Hall has served as a Technology Showcase School, providing a model for other South Carolina schools looking to transition to a 1:1 program. Also, Principal Brian Agnew now works closely with Tech Learning Specialists to set district-wide best practices to alleviate some of the barriers Drayton Hall had to overcome. Since implementing the school’s 1:1 iPad model, Brian has seen positive changes in the way his students express their understanding of a subject. Being the first school in South Carolina to implement 1:1 iPads, coupled with their ability to show advancement in teaching and learning as their technology program has evolved, Drayton Hall has been invited to apply for Apple’s ADS certification consecutively since 2012. Receiving invitations to apply for multiple ADS certifications is not guaranteed, even if a school has already received ADS status. Schools like Drayton Hall that have received multiple invitations to become an ADS must show that they have not only successfully integrated the iPad into their curriculum but have continued to use the technology in innovative and progressive ways to enhance student learning experiences in the classroom. Like many schools implementing technology, Drayton Hall also wanted devices to improve collaboration among teachers and students as well as connect the entire school community. For these important goals, Drayton Hall teachers often rely on Showbie. Assistant Principal Katherine Anderson has seen firsthand how Showbie is a great tool for improving collaboration and feelings of connectedness. Showbie has also helped school leadership better understand how technology is being used in the classroom and how it affects student learning and creativity. Each of these three schools was recognized by Apple as an ADS for their different strengths and ability to bring iPad technology into the classroom in a unique way, but their focus is ultimately the same — providing students with technology that will prepare them for a successful future in a technology-driven world. Pairing Apple’s personal devices with powerful apps like Showbie facilitates a dynamic learning environment in which students can demonstrate their understanding of any subject through innovation and creativity.